Being a simple border, these are just pictures of the sample in progress. 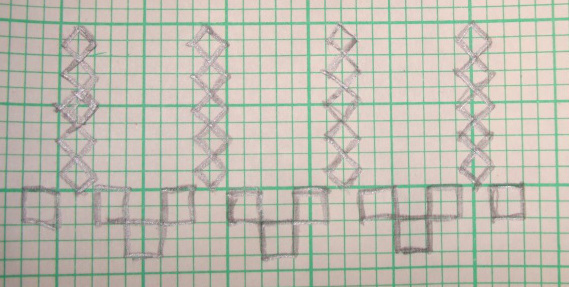 Starting with the zigzag in diagonal kutchwork , the basic stitch. After interlacing lower part of the anchoring stitch. The interlaced zigzag diagonal kutch. 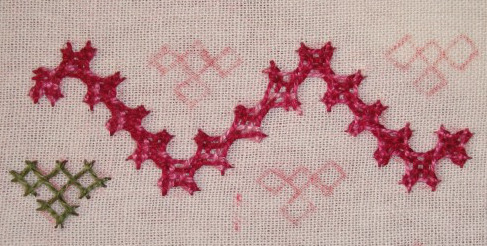 The straight kutchwork worked in different thread. the basic stitch. 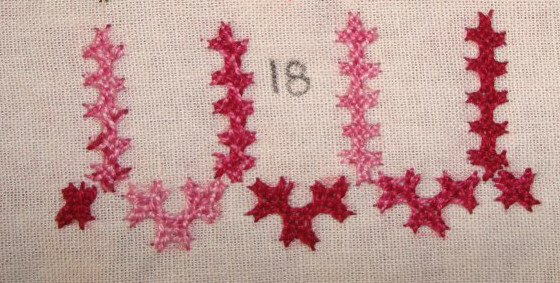 Hint- The motifs are worked in one direction based on the cross stitch edge # 17. Variations can be made by changing the directions. Mirrors can also be worked on one side. 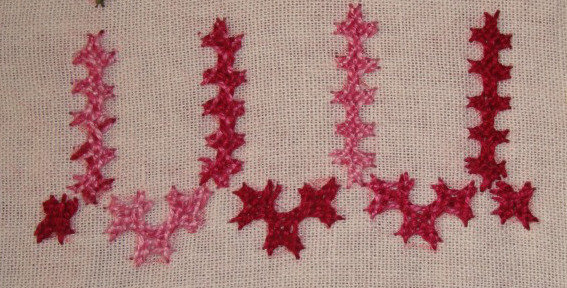 A single square, after that working on the anchoring stitch of five straight kutchwork stitches. After interlacing moving on to the diagonal kutch work. By working like this alternatively, the border is completed. 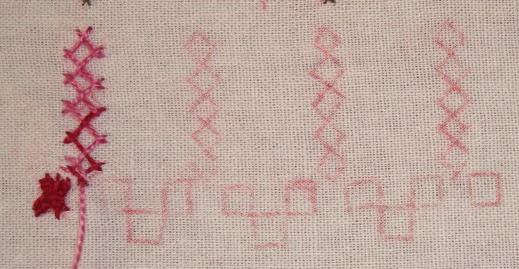 Hints- mirrors can be worked in the space between five straight kutchwork stitches. Two small mirrors or in diamond shaped mirror will fill up the space decoratively.